Australian Women’s Weekly is a popular publication that gives you all the latest celebrity gossip, articles on travel, arts and entertainment, parenting, beauty, fashion and health issues. 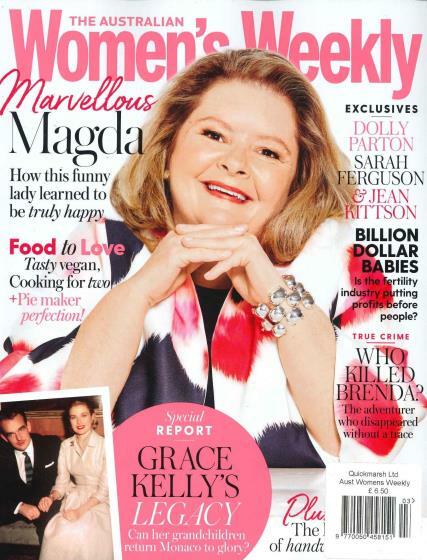 Buy a single copy or subscription to Australian Women's Weekly magazine. The magazine is now produced on a monthly basis even though the word weekly is retained in the name. Australian Women’s Weekly is an institution in Australia, having been in publication since 1933. Whether you are looking for hot gossip on the famous, fitness tips, your horoscope, fashion styles, book reviews, travel suggestions, interviews with celebrities or health information you can find what you need in Australian Women’s Weekly. A subscription to Australian Women’s gives you access to the mostly widely read women’s magazine in Australia.